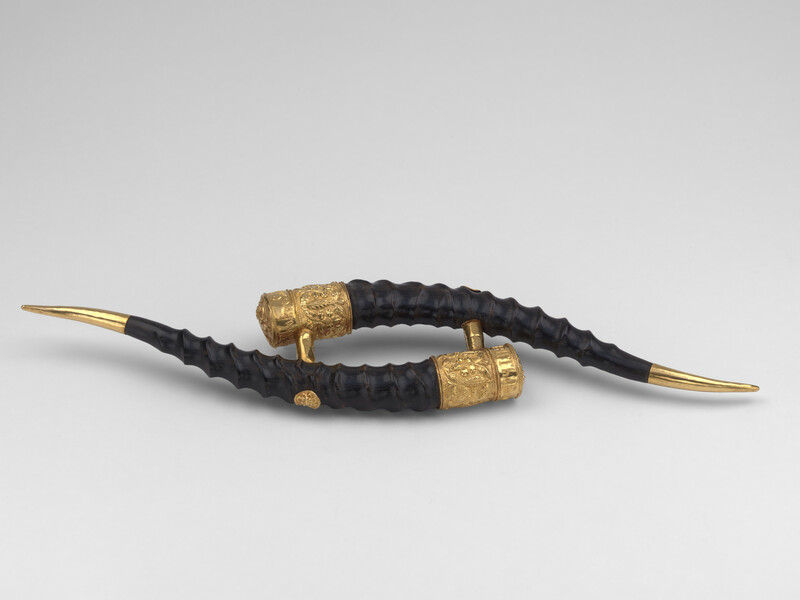 A parrying dagger or madu made of two blackbuck horns, joined at two points in the centre section with gold mounts. The mounts are chased with a dedication to the Prince of Wales and one of the caps is chased with a figure, possibly the Hindu god, Hanuman. Parrying daggers such as this were usually carried by Hindu mendicants, prohibited by religion to carry weapons of metal. This gift for the Prince of Wales with its elaborate mounts was probably designed as a presentation piece.